Pub Games: Celebrating a year of bemusing other patrons. A year ago fellow gaming addict and sometimes friend, Dev, set up an event for a group to meet in a pub and play board games. Some weeks all of us are there, others there are only two of us. For the most part we get 4/5 people. With the addition of the Lawn Mower promo card. This is the only photo taken (my phone informed me it was in "party mode" where photos would be shared with the event so I took one to test). Negotiation games are really a mainstay of our group, partially as Dev gets thrown to the wolves everytime and I somehow continue to convince people that I am not the Werewolf/Mafioso/Spy/Cylon/Zombie Bait they are looking for. I won (if memory serves correct I managed to get 3 people out each worth 4/5 points [energy drink+hide ability ftw]). Our first adventure into deck building on a pub table, whilst most of the players had played a deck builder before I believe only one of us had played Thunderstone Advance. The concept is simple enough to pick up and we all had a good time. In a twist from the previous week I came in dead last. We rattle through the Tutorial (which I always think is great at giving you a false sense of security) and another narrow map (the exact one eludes me). Fun was had by all, except the zombies who where killed in hordes. In general our group prefer cooperation and this has become our zombie game of choice. 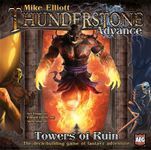 Due to the small box nature, cheap price point and fantastic game contained within most of the group own a copy of this so it wasn't going to be long before it hit the table. The game is simple to pick up, requires minimal table space and plays quickly, ideal for the pub table. We played a 5 player game, unfortunately a mixture of lack of prolonged discussion and wild accusations mixed with me using the adage of "Dev is a Traitor" (he never is) to pass blame off the likes of me (I always am) means the spies won quickly and decisively. This hasn't returned to the pub table, in part due to aforementioned negotiation issues but also due to it not working well with 5. This still sees use at my other gaming events. I brought Cthulhu Gloom to the table, unfortunately a lot of the references where missed. This doesn't quite strike the right note with the pub group. In the interest of full disclosure I should probably point out that both this and the Resistance where attempts to play all of my games by the end of 2012. Something I restarted in 2013. Our third game in a series of quick games. This strikes a cord with several of us and leads to two of us getting out own copies. We ended up using a napkin as a scoring track so that it took up less space. A fun, whimsical game. With the kickstarter having finished the P&P files become available, with the open time spent putting the print outs into card sleeves we finally managed a 3 player game. This lead to a us teaming up on one guy and he unsurprisingly lost. Turned into 40 minutes of the same. The quickest game to make it back to the table (probably because I didn't take it out of my pocket in the first place). Again, 3 player and again two teamed up on one and the one lost. With who knows how many expansions. Very decision light but dragged a lot and we had a run away leader problem. 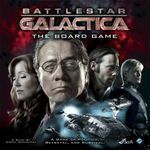 In comparison to Zombicide it won on box size, but lost out elsewhere. 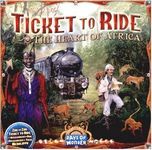 We start the new year with a team game of Ticket to Ride. 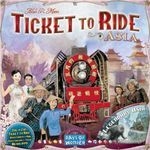 This is vastly unfair as a couple of the players have never played any ticket to ride, and two of us had experience with the team game. The winning team was the team that had no experience of the team game (and in one case of TTR in general). So much for experience. Skipping the Tutorial (despite a new player) we start with the scenario "The Escape" unfortunately we have to pack it up before the end as we all need to catch trains. Looking forward through the deck we decided that we would have found what we needed, although we failed to look at the implications of zombie spawning. 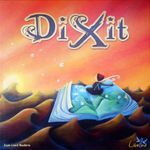 The first of the other Dixit games we went out and bought. I don't like the voting pads included with this one as it's harder to keep your vote secret. As I said in my summary of Murder of Crows, Munchkin is a great filler that overstays its welcome. It is fine, but nothing I would go out of my way to play. 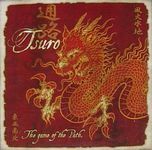 I love Tsuro as a light filler game. We played two games in rapid succession. In some form of madness we played a 3 player game where we never had a saboteur... Which kind of spoilt the game, although we did still screw each other over for first pick of the gold. Saboteur 2 is better for less people. 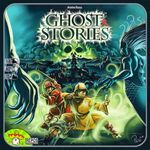 Alhambra is as Alhambra does, the game is simple enough to be explained quickly but has a slight competitive edge. The first of our Carcassone run, just the base game to introduce it to the group. Don't worry, we are about to do a whistle stop tour of the expansions just to make sure no one knows all the rules! Playing with Inns & Cathedrals and Traders and Builders. We badly misjudged the time required to play this, only just getting into the sleeper agent phase before having to pack up. We only had a Cylon post sleeper agent, however I was watching the one who became a Cylon like a hawk due to earlier suspicions. With only three of us we decided to go for Ghost Stor.. We died. Set it up aga... Dead again? Ouch. A very difficult, but enjoyable, coop. 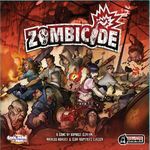 You have probably got by now that we enjoy Zombicide. We enjoy the Left for Dead style feeling of gunning down waves before being overrun. It's the pure coop nature of it that has a light feeling, but a decent amount of strategic depth. Still, TTR works well as we all know it. When I said earlier that Fluxx outstays its welcome, this game demonstrated exactly what I was talking about. After 30 odd minutes of play we allowed someone to retract their move so that the objective stayed in play and another player won. 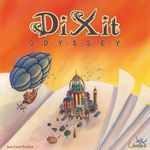 The Monty Python theme is also stretched rather thinner than other themed Fluxx games.